By education, Harsh Agrawal an Engineer by Education professional blogger. He completed engineering in I.T. stream (2008) and got placed in one of the most reputed I.T. Companies: Accenture. All This started in 2008 after completing his Engineering from Sharda University. 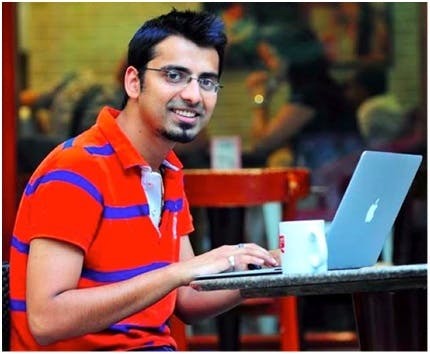 As he worked in a call center and started Blogging on Blogspot named virgintech.blogspot.com and received good Response. This motivated Harsh Agrawal to move on and because of this he Purchased Hosting and Domain name by borrowing the credit card from his friend. And Shoutmeloud came to existence. 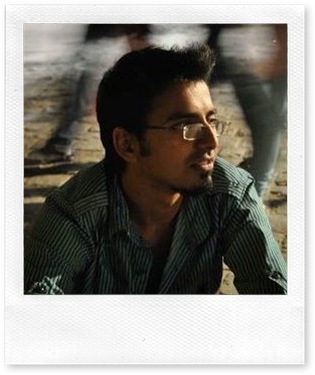 So on 1st December 2008 Shout me loud started and in March 2009, Harsh Agrawal quit his job and became a Full-time blogger. This was the Turning Point of his life. As Harsha Agrawal says in every Interview, that the first payment he got was $10 for fixing an SEO-related issue with the Google Webmaster tool Through PayPal. As I have told this as an event because of this Accident The life of Harsha Agrawal changed. His Leg got a fracture and because of which He was told to take bed rest and he utilized that time worked 14 hours per day for blogging and learning it. And this Full time of 5 month Work given him the incredible result. His Hard Work Shown him the Result and is in the front of you all. Now, You all know about him. He always says that hard work is his main secret to success. Also, he says that if you want to start a blog start it in the right way. Don't use any shortcut. And yes according to me also There is no any shortcut to success. His earning from the blog before quitting his Job. As he said in an interview that he was earning ₹35,000 which was double from his salary that time. And this was the biggest success in any blogger's life because he gets an answer to the different Questions from society. Basically, the main question is what will you do after Quitting the job?